This has taken far more time than is reasonable. 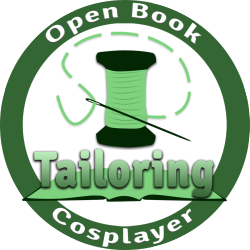 Do you have those costumes that are within your skill level, but you can’t seem to make it *just* right? That’s this costume for me. I have seam ripped those sleeves at least four times. But! I am going to finish this one. I need to in order to salvage my ego. Fortunately, I’m getting past the absolute worst parts (hopefully), and I’m down to the collar, hemming the skirt, and styling the wig. 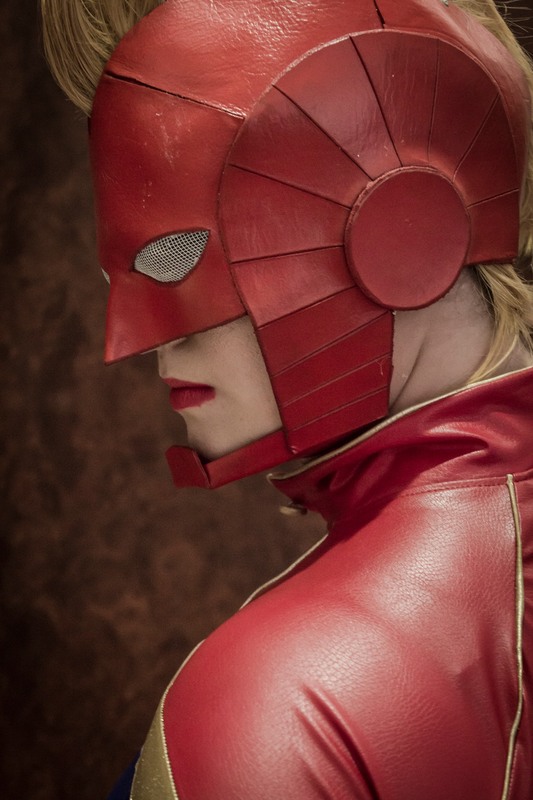 I have a shoot planned with Aperture Ashley at A-fest, so I’d better get busy! I realized about a week ago that I’m not going to be able to knock out a full extra costume for A-fest, so I decided to work with what I have. The result: Sailor Rogue! I’ve had this idea baking in my brain for months, but this artist’s piece is what tipped the scale. Fortunately, I already have everything but the tights on hand! I’ll be using various pieces from my Rogue and Sailor Jupiter costumes, and I have some spare gold satin from my Ms. Marvel dress for bows. I like the gold/green look better than green on green. I’m tentatively planning to wear this the Sunday of A-fest. This is my planned Monthly Stitch project for August, and I’m hoping to have it done for Fan Appreciation Day. I’m not going to get around to a full Captain Marvel this year, so I’m stashbusting and reinterpreting her design for a dress! 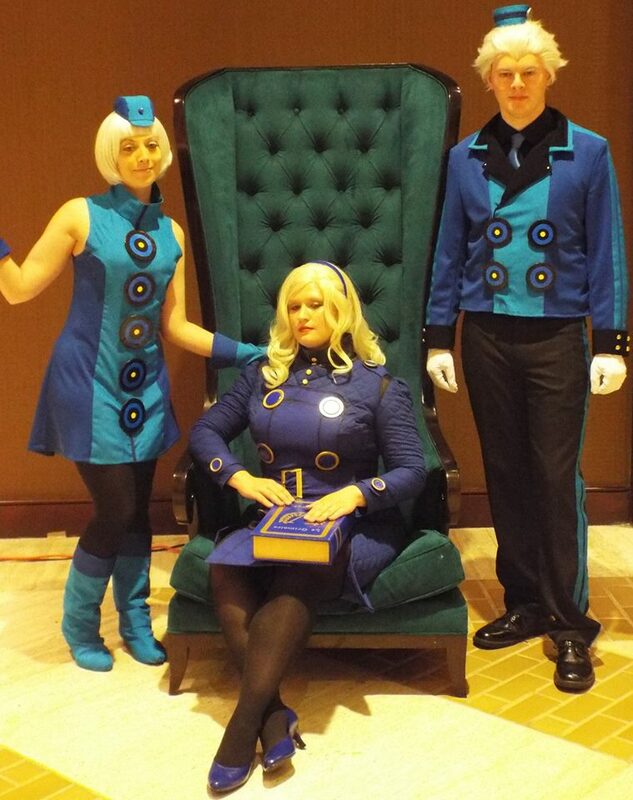 I adore this one by Contagious Costuming, which was my inspiration for this project. I’d love to incorporate the raglan sleeves, but I also need to knock this out pretty quickly, so I may just go with a sleeveless version. Any thoughts? I’m hacking the bodice with my Cambie skirt. Because pocketses. That actually should read Simplicity 1606. Derp. This is actually a commission. 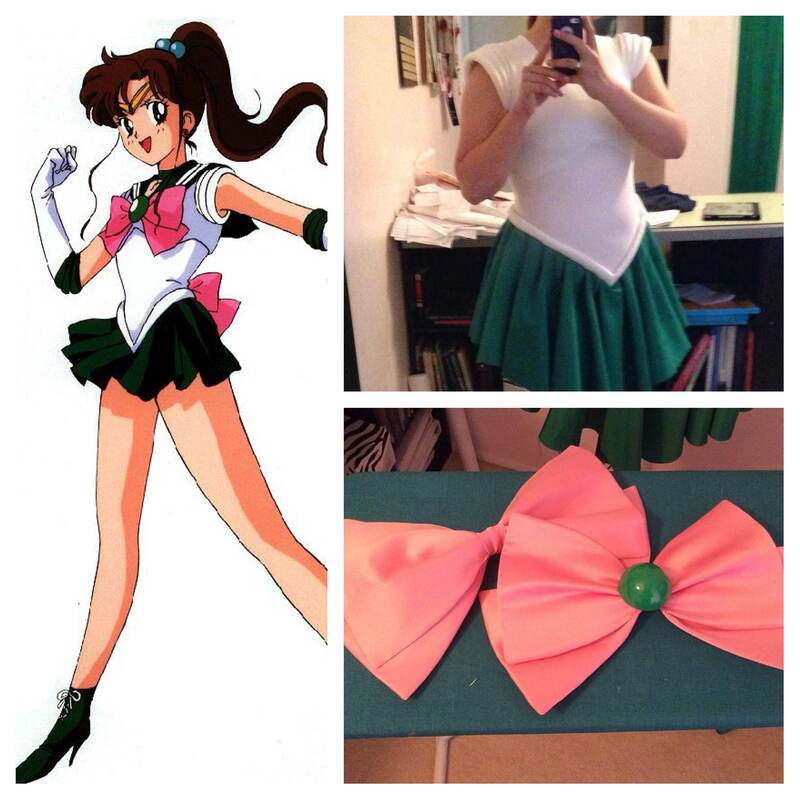 A cosplay friend contacted me about a week ago asking if I knew anyone who could commission this for her in time for A-fest. 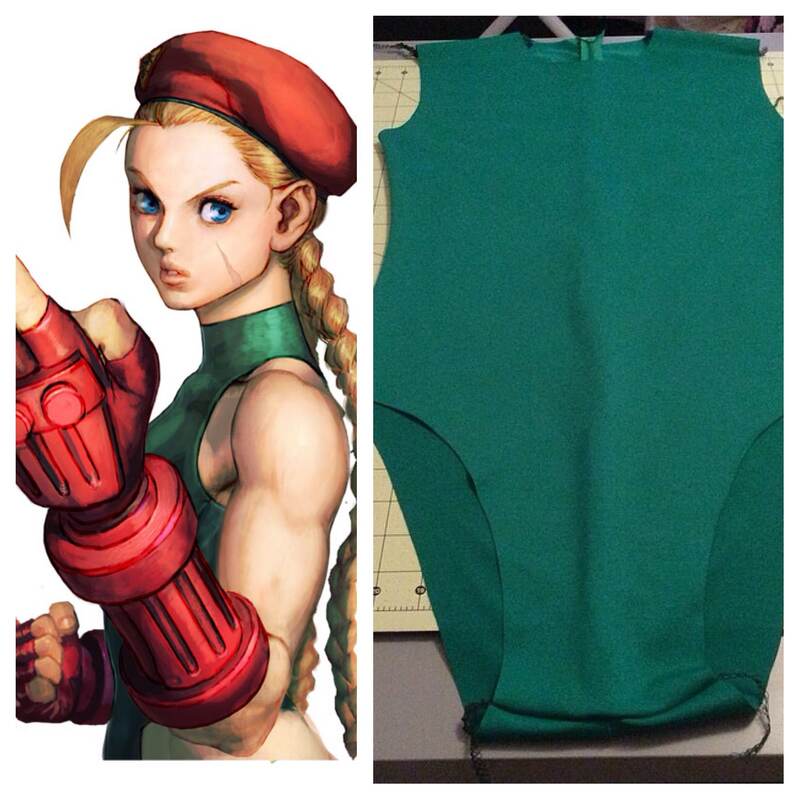 I still had some green fabric leftover from Rogue, so I decided to help out. 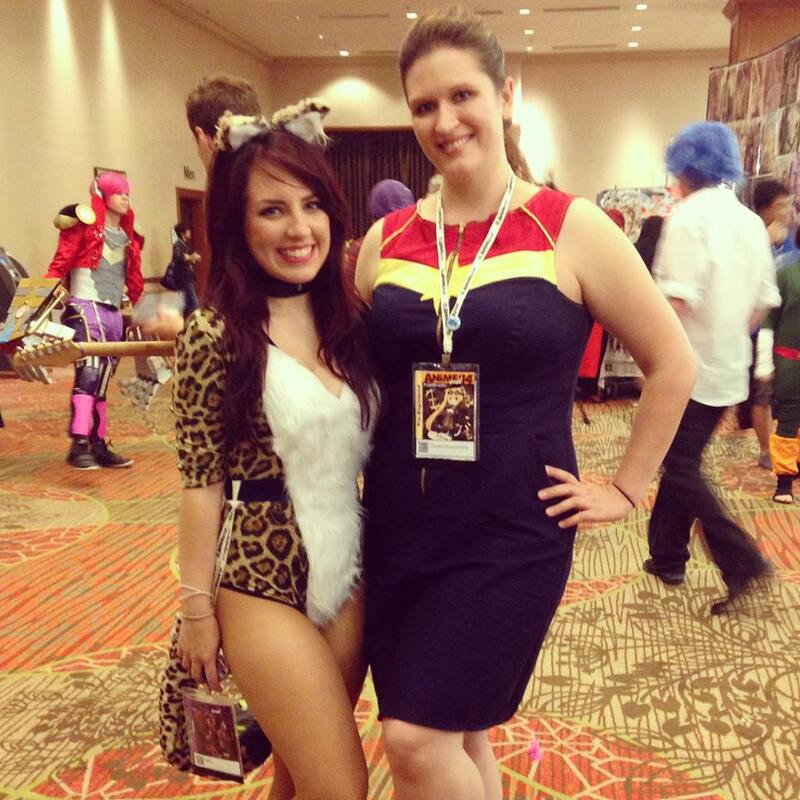 It’s pretty much just my Ms. Marvel leotard with adjustments made to the leg hole openings. I’m done with the base, so I’m hoping to have it finished by tomorrow. I have a few other things in the works (including some non-cosplay projects), but I won’t get started on them until after A-fest, so y’all will just have to wait until next month’s post 😉 What’s on your project table right now? 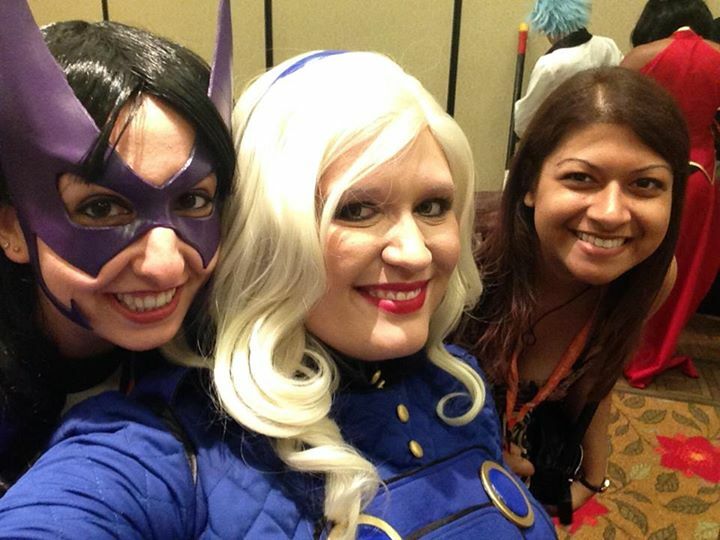 Because it’s not a con without costume selfies. 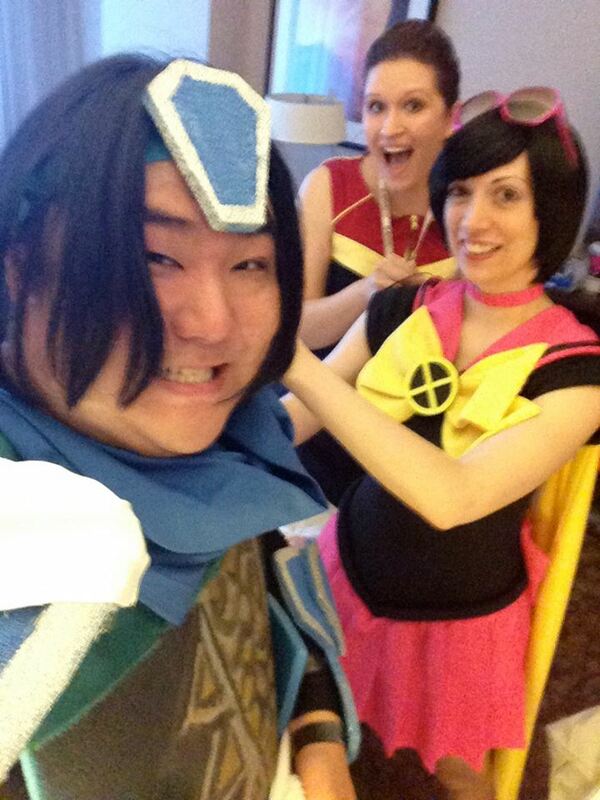 With Mia, Peony, and Samurai Pizza Kitten. 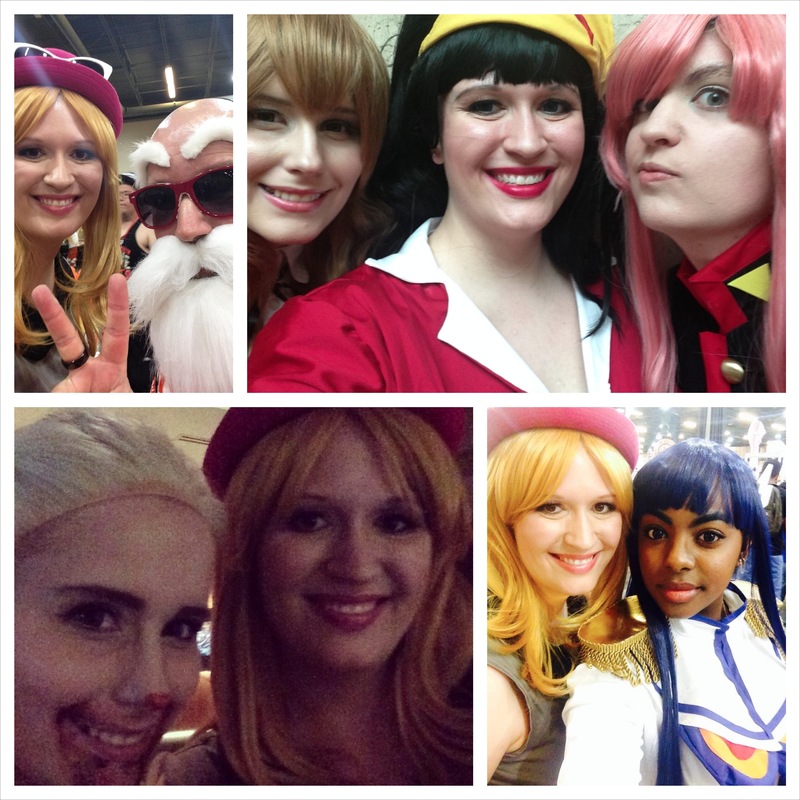 In early June, I attended A-Kon 25, which is one of the biggest anime conventions in Texas and held in Dallas. 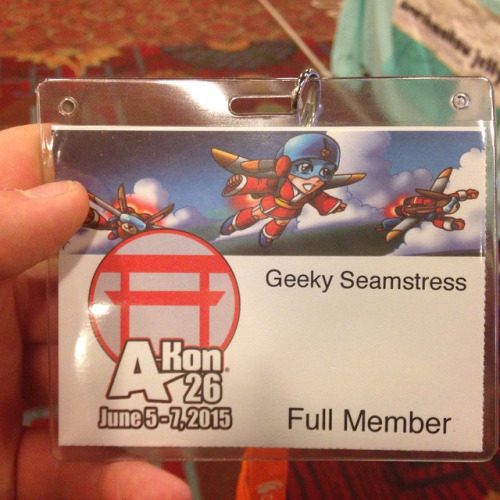 A-Kon will always have a special place in my heart, since it was the very first con I attended three years ago! 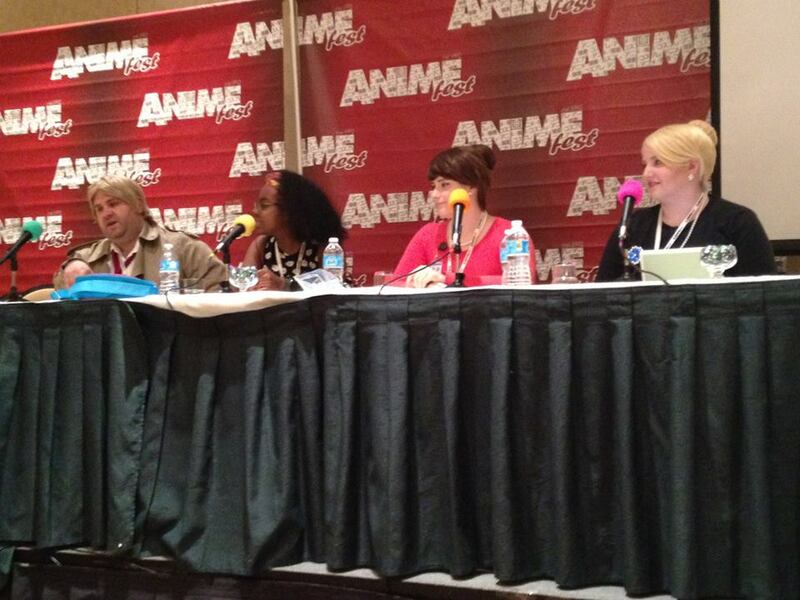 This was A-Kon’s second year in their new location, and staff has taken feedback and problems last year to heart. Last year, I attended only on Saturday. Even though I showed up for on-site registration at 7am, I still stood in line for close to six hours. Insane. This year, I pre-registered, but I only stood in line for two hours. It’s still a hassle, but it’s much better than the confuddled lines of last year. Next year, I’ll probably opt for the charity option, which had no wait at all. Lovely ladies! 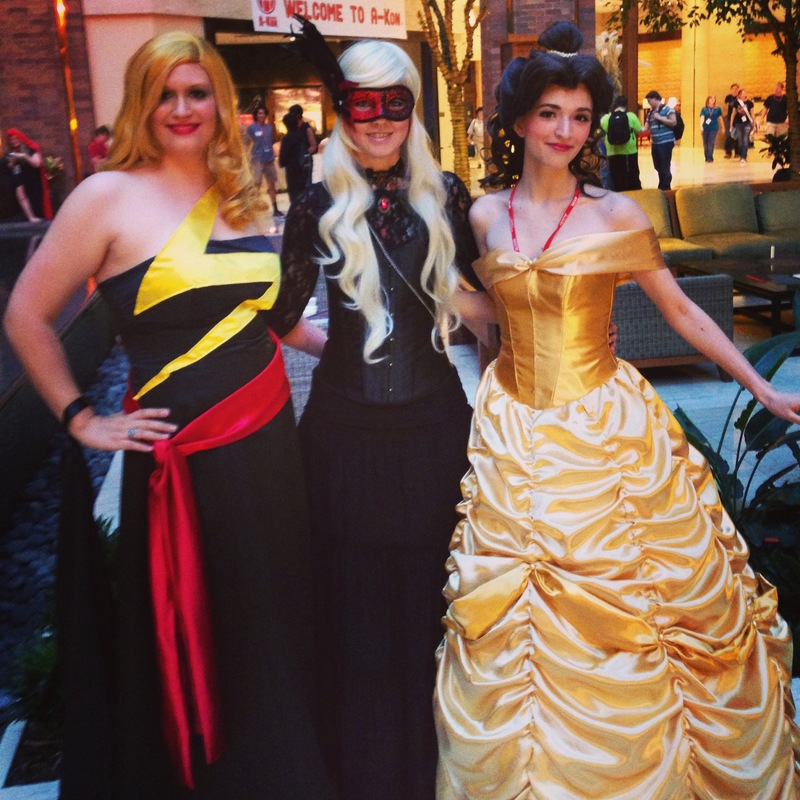 With GlitzyGeekGirl and Morgan as Belle. 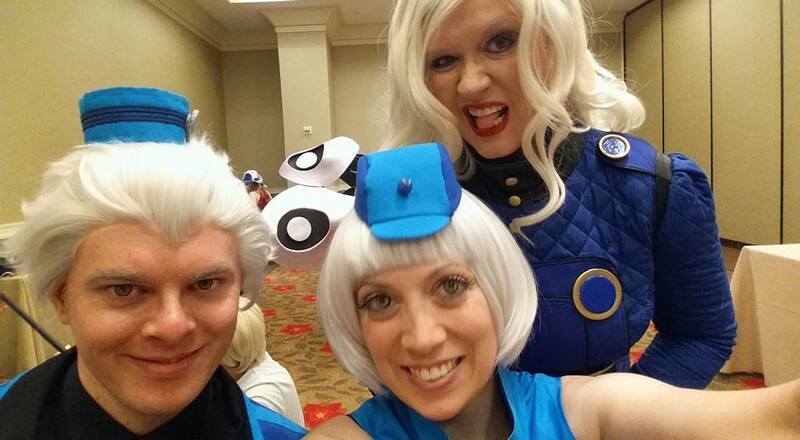 A-Kon ran from Thursday through Sunday this year, and Thursday’s main event was the Masquerade Ball. 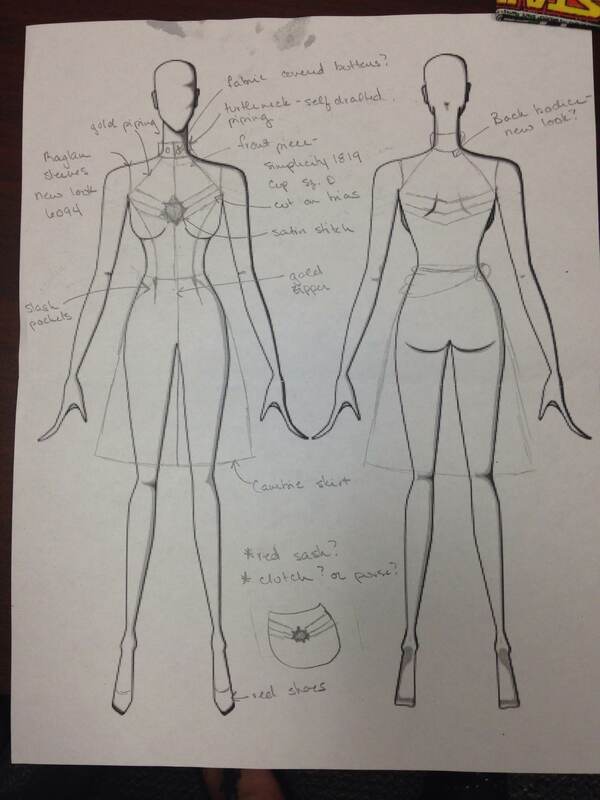 I made a ballgown inspired by Ms. Marvel (original design by Hanie Mohd). 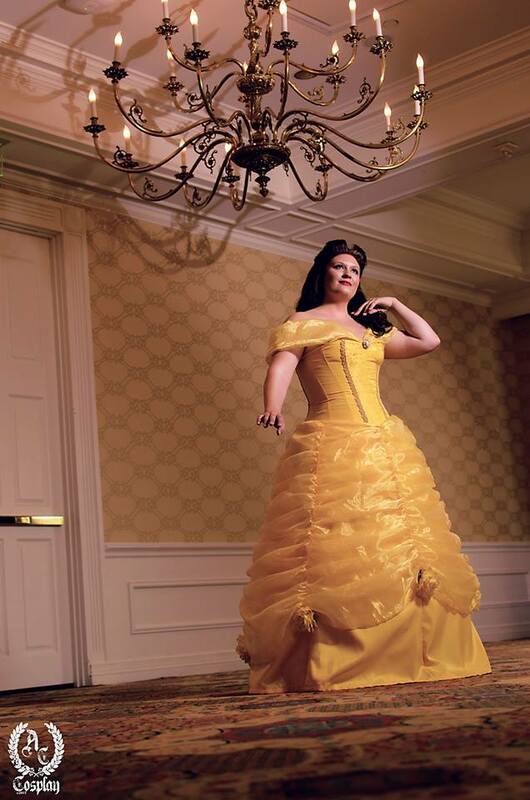 I was super excited when ACCosplay asked to do a photoshoot of my gown. He’s posted a teaser of our shoot, and it’s absolutely gorgeous. I can’t wait to share the final results with you guys! 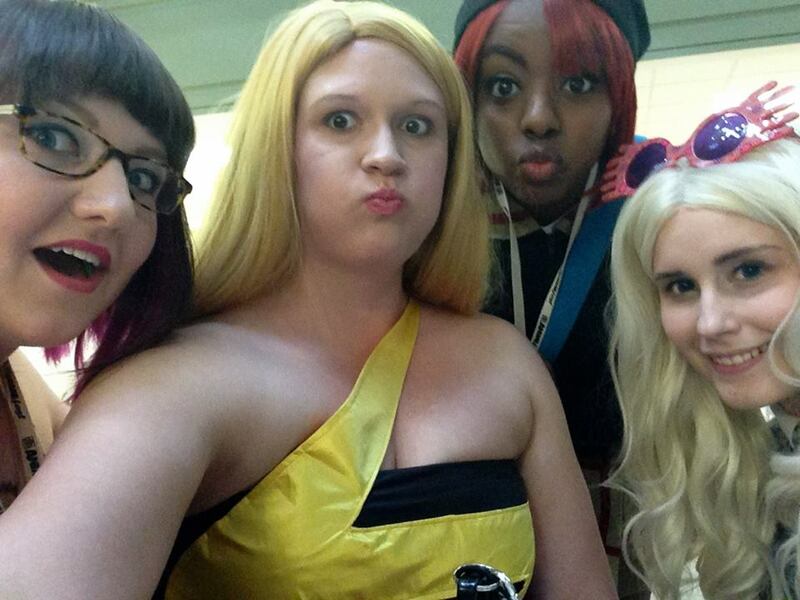 I met up with a few other cosplayers on Thursday, but I didn’t stay late, knowing how busy the weekend would be. 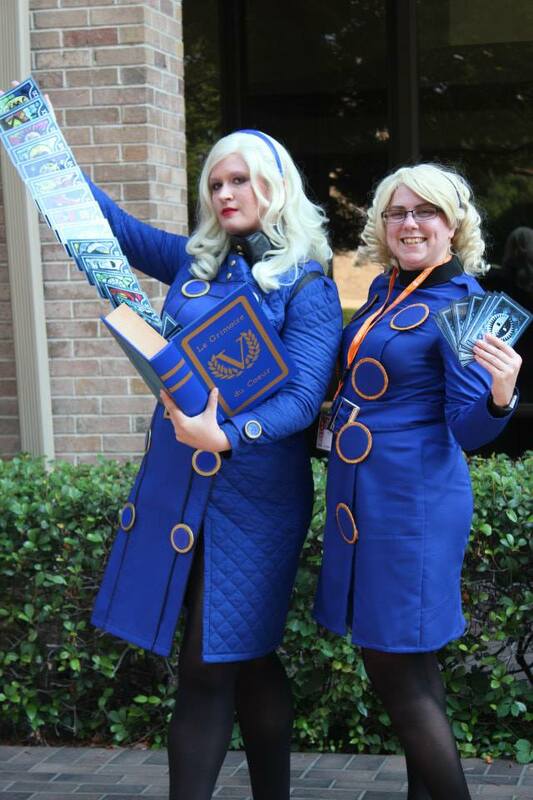 I hit up the con in the afternoon and evening on Friday. 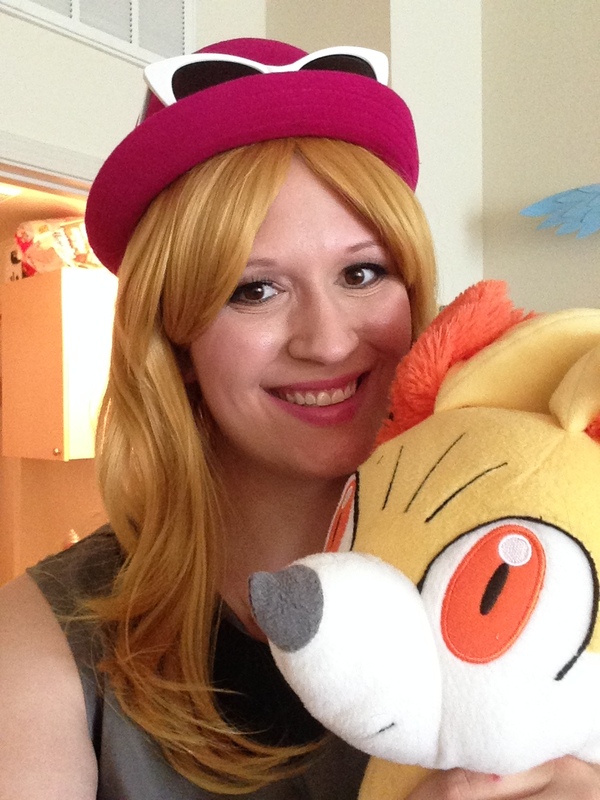 I dressed in my new Pokemon trainer cosplay so that I could wander around and be comfortable while scoping out the con. There were so many fun costumes, but my favorite part of the night was hitting up the Repo! The Genetic Opera shadowcast by Amber Does Dallas. Repo is one of my guilty pleasure movies, and this was my first time watching it live. Shadowcast performances are always fun, so I’ll definitely try to make the next one! 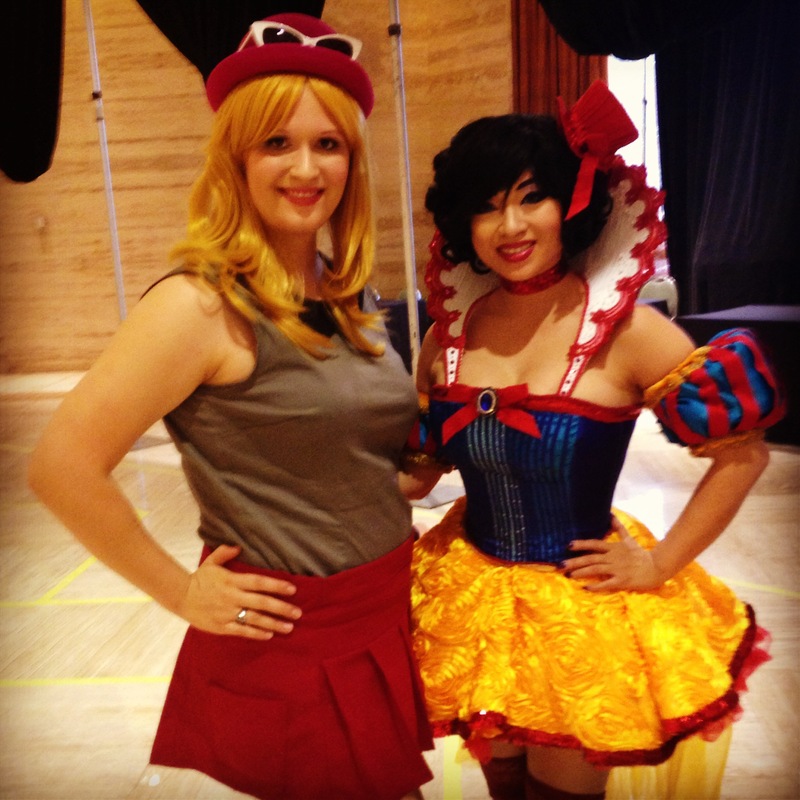 Ran into the lovely Yaya Han while I was wandering about! Cos-ception. 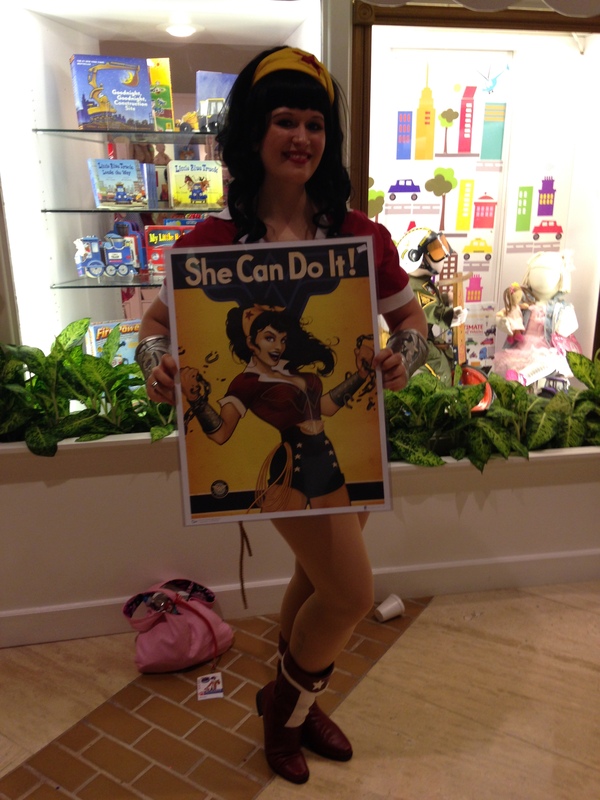 A woman spotted me at the con and sprinted over, asking me to pose with this print. Now I have to buy this print. 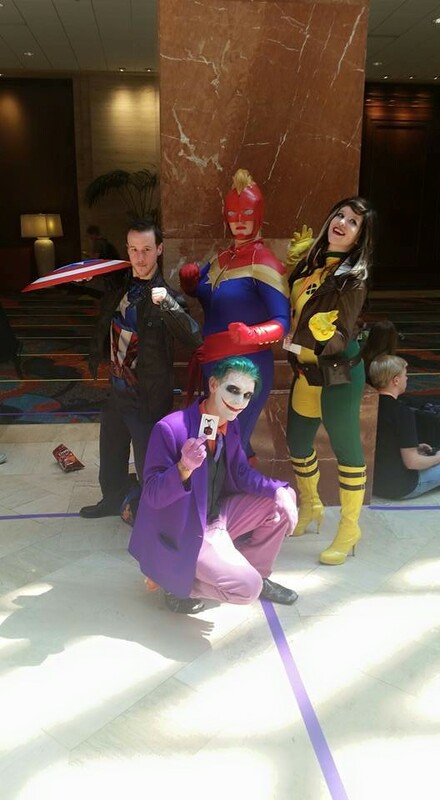 Saturday was cosplay day! 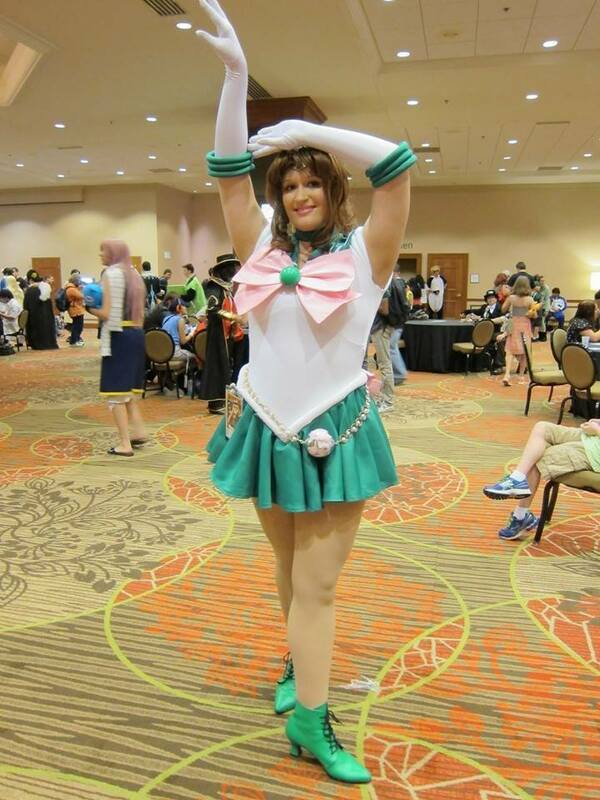 I had hoped to debut my Sailor Jupiter, but it didn’t come together in time. Instead, I wore my Bombshell Wonder Woman with a few improvements (I’ll post about those later this week) and looked at costumes. 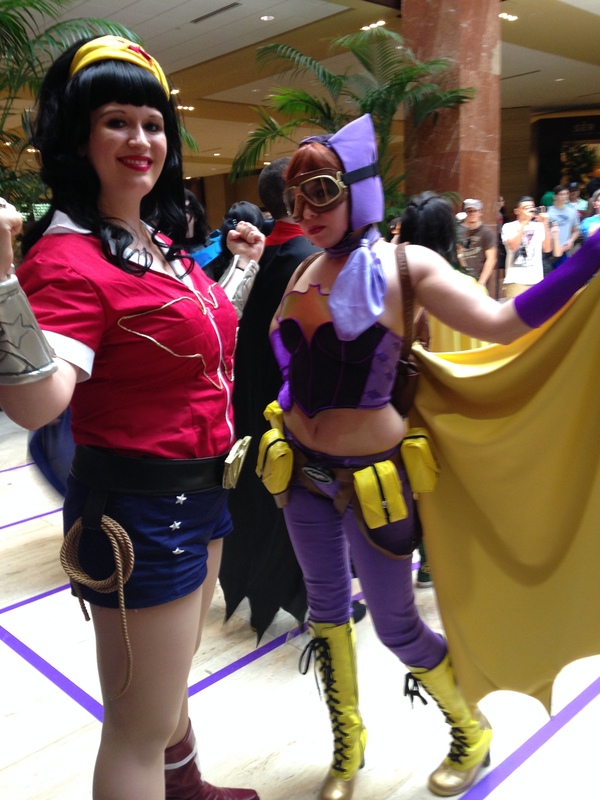 I made it over to the DC Photoshoot that afternoon and actually ran into a Bombshell Batgirl, which is my second favorite Bombshell design. I sat Sunday out since I had a lot of family obligations that weekend. 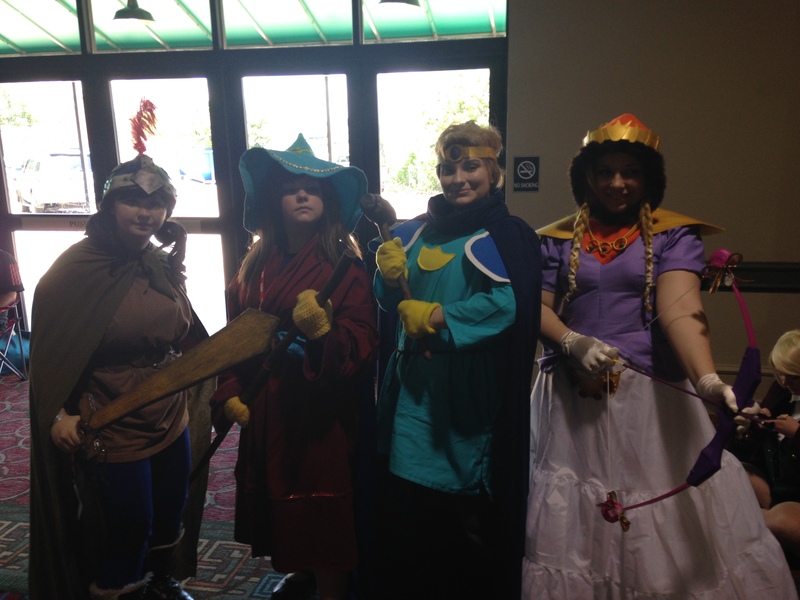 Overall, the con was much better than last year and I had a really good time! Next year will be an interesting challenge, since there’s only going to be a week between Dallas Comic Con and A-Kon 0_o. It’s definitely going to require some costume scheduling and planning! You can see more photos on my Facebook page!